J.L. 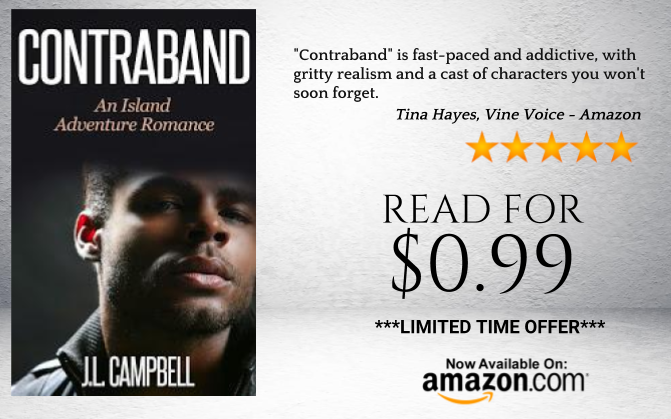 Campbell: Contraband on Sale! For a limited time, I'll be running a special on Contraband, a book which is close to my heart. It was the first book that a publisher said yes to and it started the ball rolling for me. People are surprised when I tell them, this book took roughly six months to write and five years to bring it to the point where I was comfortable submitting it to a publisher. The journey has been an interesting one and, this book, one of the most hair raising that I've penned. It's a low-risk investment, so if you haven't read anything from me, this is a great opportunity to try something exiting and different. The buy link is here.